Peter Schiff* highlights how U.S. Presidential Candidate Donald Trump has "inadvertently let slip another unspoken truth, namely, that the United States can always print however much money she needs to 'repay' her debt. Apparently the only acceptable position to hold on this issue is to completely deny reality .. There may be a great many things of which Trump is unaware, but he clearly knows where our money comes from. The difference between Trump and his critics is that he must believe there is a cost in printing too much money. Modern economists do not appear to grasp this basic concept." 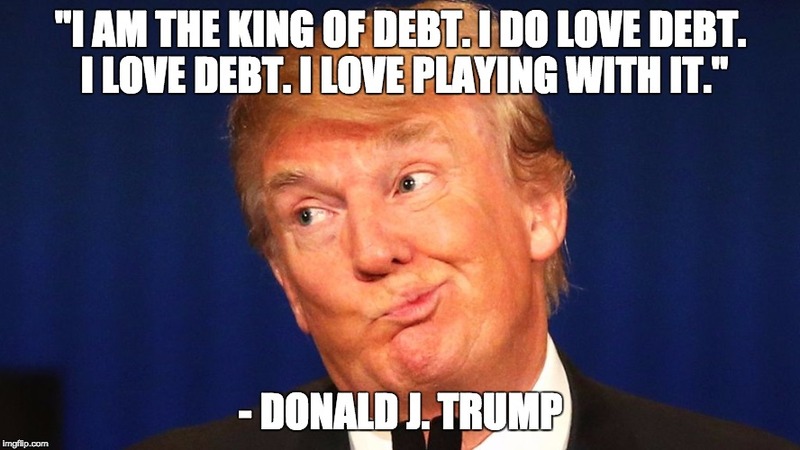 .. Trump realizes that the U.S. economy remains very dependent on ultra-low interest rates - given Trump's massive spending plans "Trump acknowledged that we have to push down the value of the dollar." - in other words the debasement of the currency .. Schiff warns: "But based on the opinions of economists, that is exactly the policy path for which we should prepare. Inflation and a weak dollar are the only solutions they can envision to 'solve' our problems, and that is exactly what we will get. So nice try Donald, but from now on you may as well just keep talking about the Wall."